The Porter-Cable 690LR Fixed Base Router promises 27,500 revolutions per minute and a micrometer depth adjuster accurate to 1/128 of an inch. 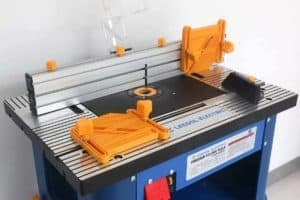 Although it’s more than a decade old at this point, it remains one of the most popular fixed base routers on the market, especially among woodworking novices and those trying to stay within a budget. 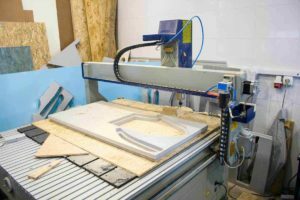 If you want a more recent model, you can always go with the Porter-Cable 892 Fixed Base Router, but you should be prepared to expand your budget significantly. 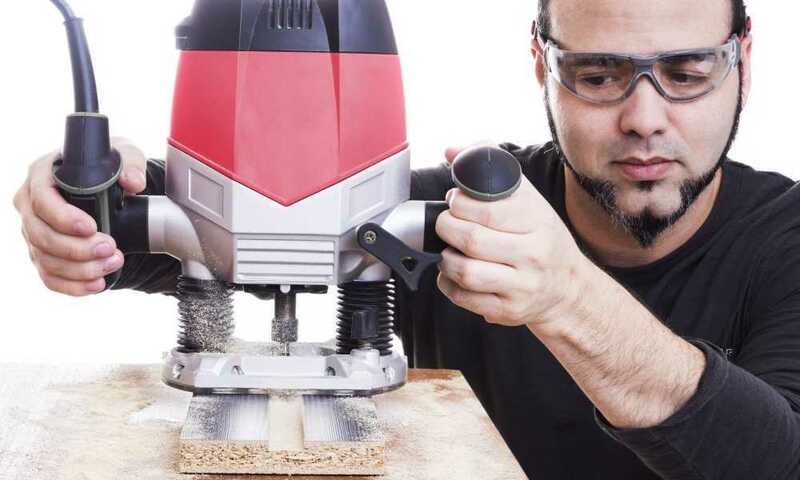 As we mentioned in the previous section, the Porter-Cable 690LR Fixed Base Router has long been a favorite of novices and DIYers, so you should certainly consider it if you are a newcomer to woodwork as a hobby. 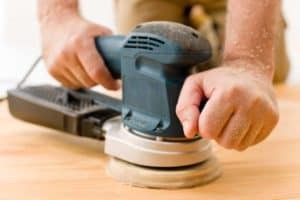 The heightened control that this router allows makes it a great choice for anybody who is not yet entirely comfortable around power tools. 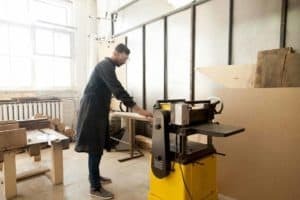 But the popularity of the Porter-Cable 690LR Fixed Base Router among hobbyists does not mean that it can’t be used in a professional environment. There are plenty of tradespeople who have used this fixed base router and have had great experiences doing so. 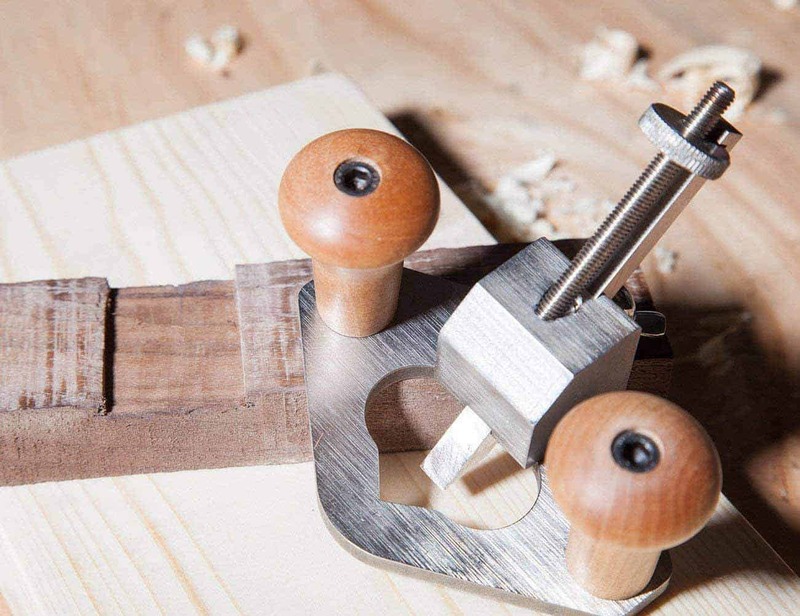 Of course, a professional should not rely on a fixed base router as the anchor of their workshop, but it is certainly worthy of a place on the ship. When you purchase the Porter-Cable 690LR Fixed Base Router, you’ll receive a free collet wrench along with a ¼-inch and a ½-inch collet. Look inside the box that this router comes in and you’ll also find a comprehensive instruction manual to help you get the most out of your new tool. Although malfunctions with any of Porter-Cable’s products are rare, the brand acknowledges that they do occur and seeks to rectify them in as timely a manner as possible. That’s why it promises a three-year warranty with each purchase of its 690LR Fixed Base Router. The Porter-Cable 690LR Fixed Base Router comes fitted with a powerful 11-amp motor that is housed in an aluminum shell to minimize the risk of damage coming to it in use or in transportation. On either side of the motor housing you will find an ergonomic handle designed to make the user experience as comfortable as possible. What’s really great about these handles is that Porter-Cable designed them with avid hobbyists and professionals in mind, meaning they won’t cause hand, arm or back pain even when you use the router for hours on end. 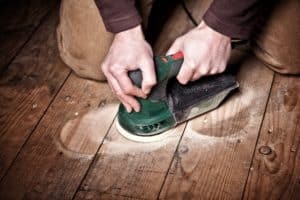 Although this router is backed by a three-year warranty, it is unlikely you will ever have reason to invoke it as its vital components come dust-sealed to minimize the risk of wear and tear. 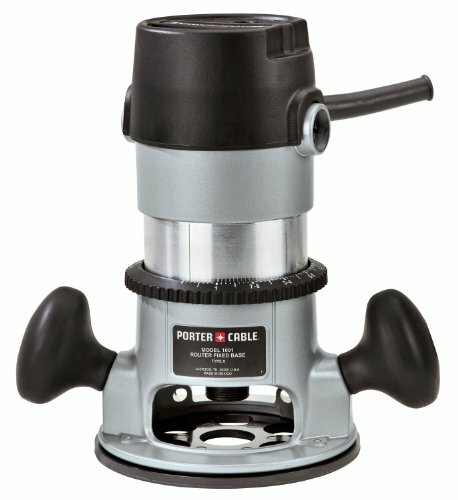 Our only major complaint about the Porter-Cable 690LR Fixed Base Router is its lack of speed control. Fitted with a single-speed motor, this router is far from ideal when it comes to completing complex jobs. If you have never used a fixed base router before - or if you converted to a plunge model a long time ago and have completely forgotten how to operate a fixed base alternative - we urge you to watch the video below. 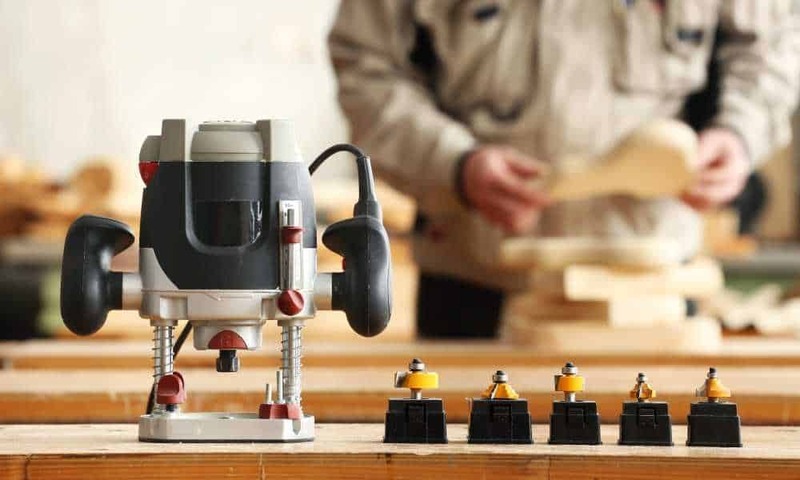 In it, you will be talked through the process of using a fixed base router from beginning to end, so you’ll know exactly what you’re doing from the moment you take your new tool out of the box. If your workshop requires something a little different to the Porter-Cable 690LR, you may want to take a look at the Bosch 1617EVSPK. 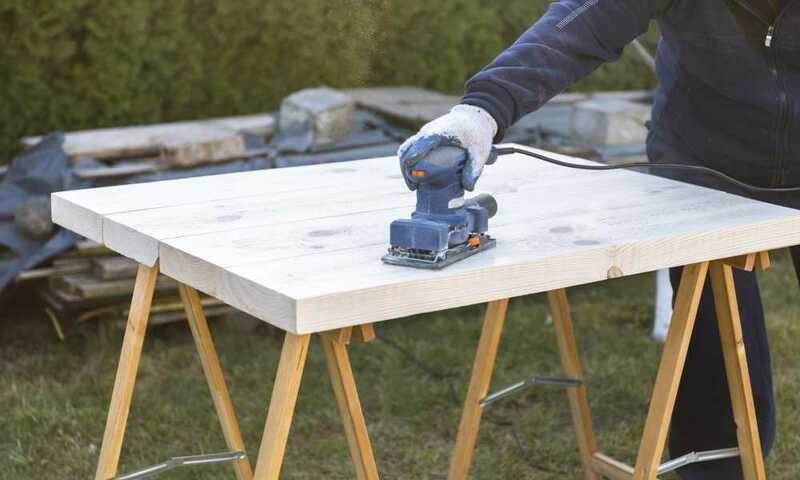 The Bosch 1617EVSPK is a combination router that boasts both fixed base and plunge capabilities, so you can alternate between the two as you see fit. It also features multiple speed settings, so it certainly trumps its Porter-Cable rival when it comes to versatility. That being said, the 1617EVSPK is quite a bit more expensive than the 690LR, so if you’re a novice woodworker it may be a difficult purchase to justify. While there are certainly better fixed base routers than the 690LR, you’re going to have a hard time finding them for the same price. In fact, the low price of the Porter-Cable 690LR Fixed Base Router is something of a surprise as it promises the features and the performance of a more expensive model. For beginners, there are few fixed base routers superior to this one as its 11-amp motor and 27,500 revolutions per-minute make it the perfect learning tool.